Excellence is our business. Serving the U.S. Federal Government with excellence is our passion. 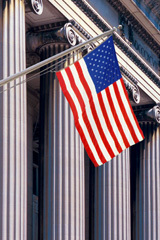 New Century Management has served the Federal Government for over 15 years. We are on the GSA Federal Supply Schedule 874, Management, Organizational and Business Improvement Services (MOBIS). Our contract number is GS-10F-0611N. We are listed as a small, woman-owned business. More on the GSA MOBIS Schedule. This is a convenient way for our Federal Government clients to contract with us. We can offer our federal clients significant discounts through MOBIS. See Federal Government Corner for a list of our specialized federal services. Consultation to establish a new corporate university dedicated to executive development. Facilitation of dynamic strategic planning retreats with lasting, measurable results. Well-executed action plans based on our surveys, analyses, and research input. We'd like to talk to you about how our federal expertise can benefit your agency. Contact us today.